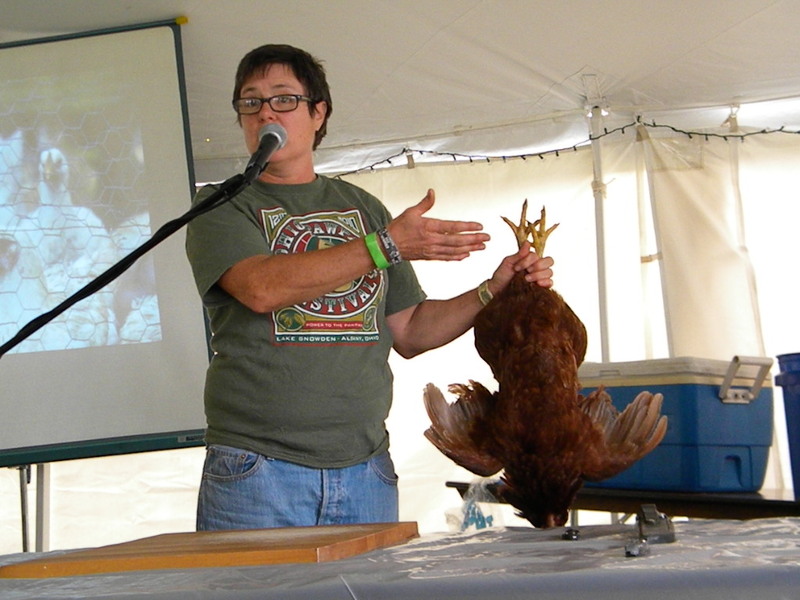 Michelle demonstrating a live chicken processing at the Ohio Paw Paw Festival 2014. Registration $30, limited to 6 participants. Learn everything you ever wanted to know about processing your own birds at home. 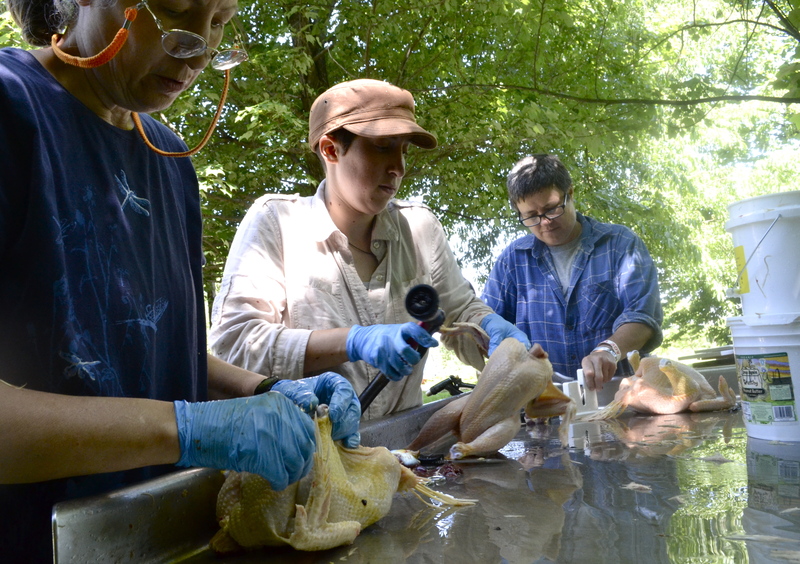 This will be a hands on workshop, you will be participating in a chicken slaughter. When you leave this w orkshop, you will be fully prepared to do this work on your own. Lunch will be provided. Please be on time. Date subject to change, depending on growth rate of chicks, check back. Call 740-551-9976 to register. Check back for 2017 dates!